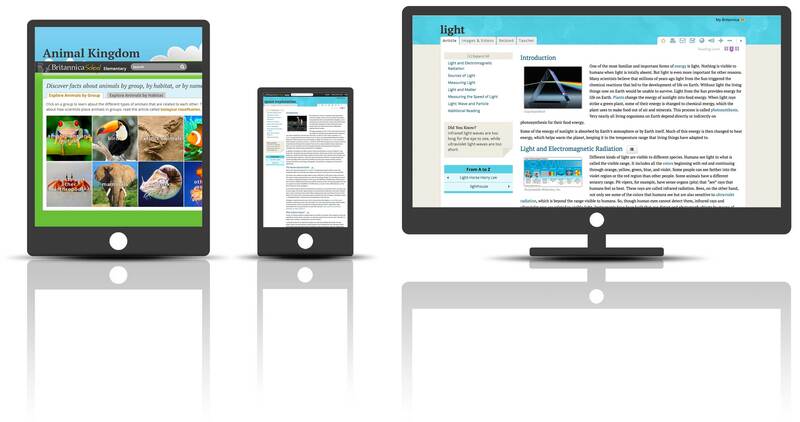 Many online products offer multiple levels for different ages, but often struggling readers are reluctant to move to a lower level because the interface and experience are designed for younger students. 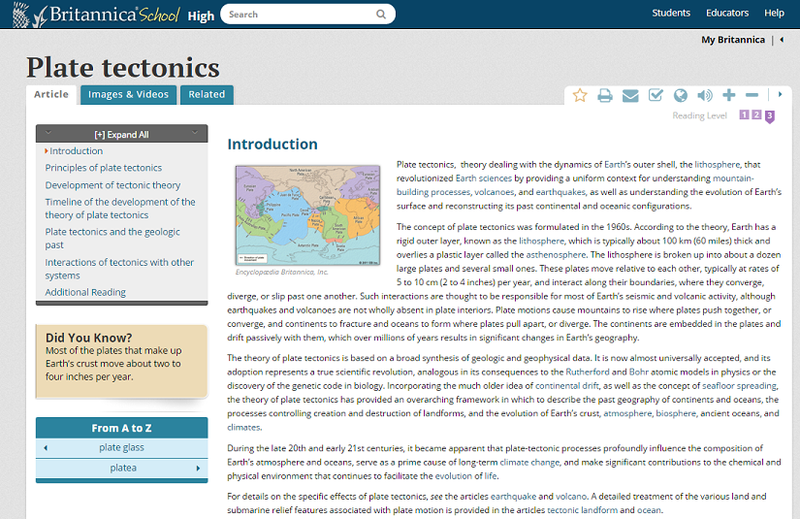 With Britannica School, content is available at all three reading levels and students can move quickly from one level to another without changing the look and feel of the site. Content and Interface work together to give the user an experience tailored to their needs. For example, if elementary students move to a level with more advanced content, their interface becomes more advanced as well; but middle and high school students stay in their more advanced interfaces, even if they choose level 1. 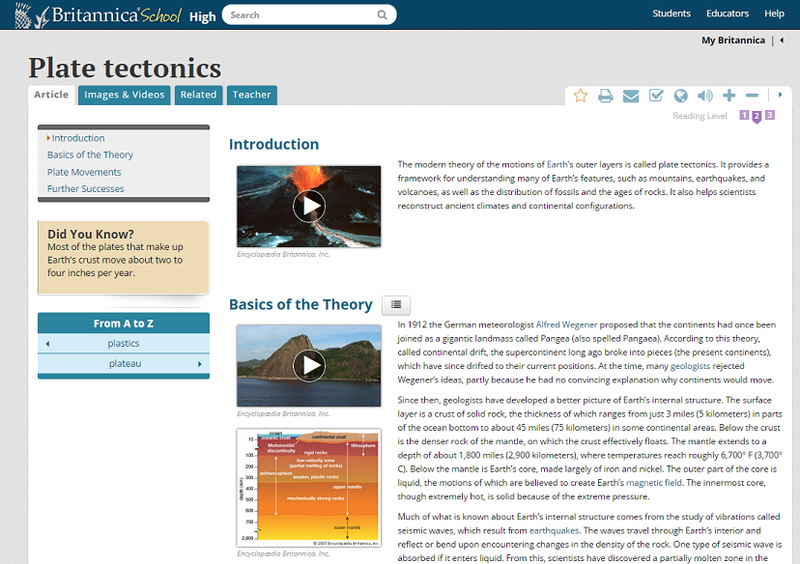 With Britannica School, educators can map text and multimedia to classroom activities on the fly and even toggle within an article to see the State and Common Core standards associated with it. 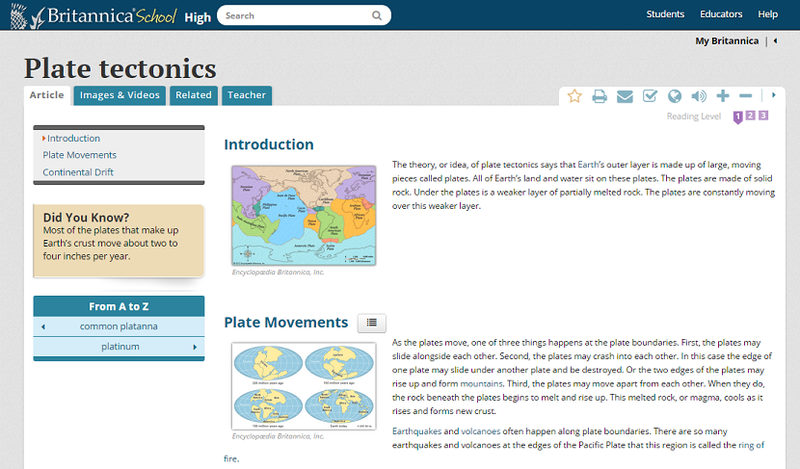 Teachers can create, save and share lesson plans using the new lesson plan builder. 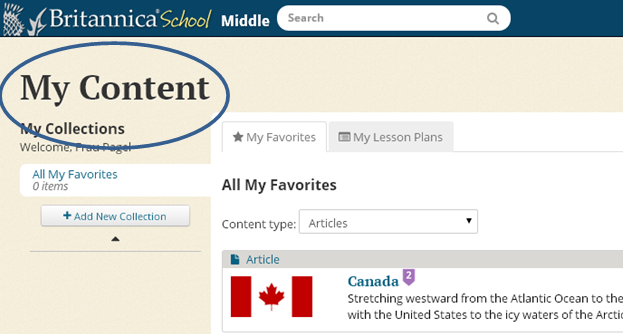 They can map Britannica content, define steps and activities, select materials and share their ideas with other teachers. 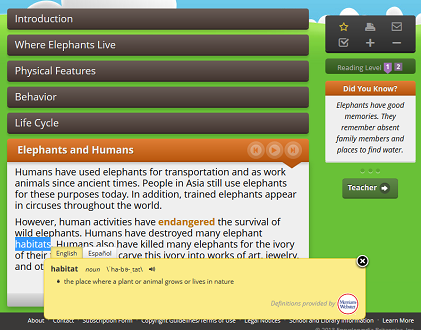 They can also access and review plans created by other teachers. 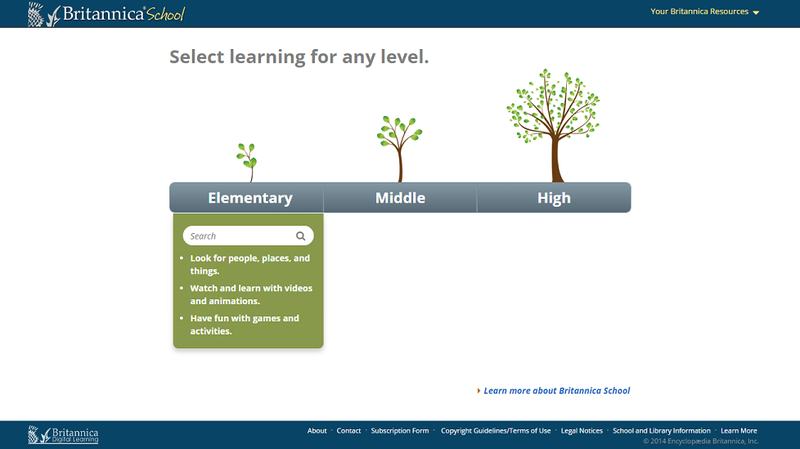 Britannica School offers age-appropriate resources at 4 levels, the Learning Zone for early learners and elementary, middle and high school levels.